Enjoy a date night or a fun filled night with your closest pals .. A Prime Rib buffet and all the laugh out louds you can handle ... Only $20 per person. Doors Open at 6:30pm. 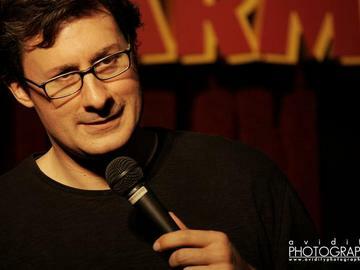 Our headliner, Costaki, has been described as smart, pointed, hip, sharp, insightful, socially relevant, and gut-laugh funny. A fellow comic once referred to him as a “casually brilliant joke philosopher.” He weighs in on everything from parenting and football, to pirates and rice cakes. And his light swagger, playful squint, and wry smile tell you that perhaps there’s more to this multi-layered joke than you first recognized. The evening also includes opening performances by Nicky Winkelman & Jeff Oskay.